Emerson & Conway are a long-established legal practice in Galway City, specialising in litigation, family law, property and commercial law, among many other services. Using the dark professional colours from their existing logo wordmark, we created an easy to navigate website that is clean and professional. 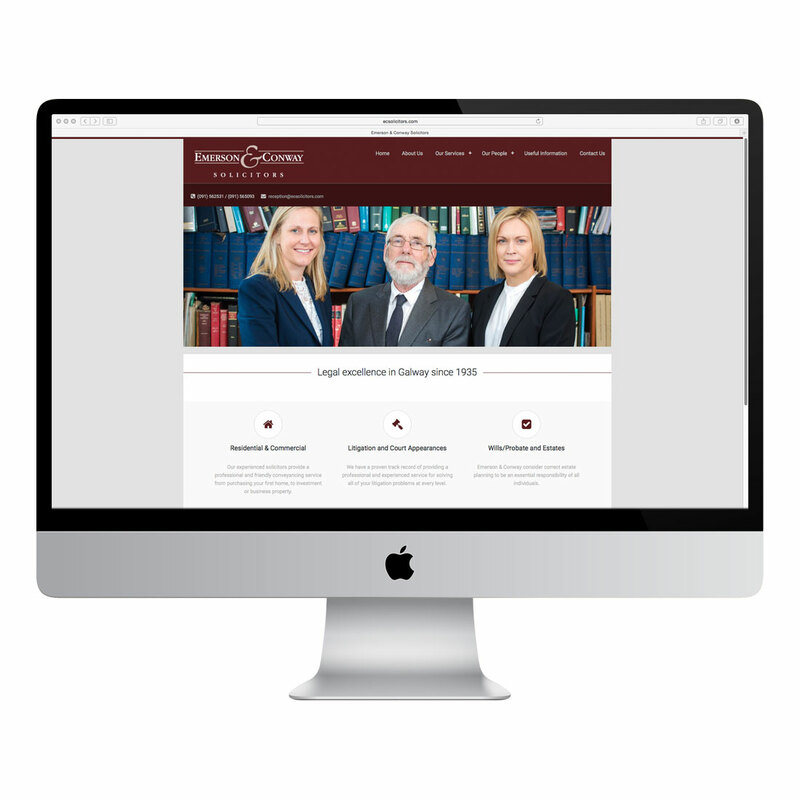 Focusing on descriptions of their range of services, the site also features profiles of the three partner solicitors.